Open house – an exciting night for parents to come to John A. Ferguson Senior High School and meet the staff who will be teaching their kids for the year. On Wednesday, September 27, at 6:00 pm parents came in, some with their children and some without, to explore John A. Ferguson, a ginormous school. Before it started, a resource fair was held in the cafeteria where parents and their children could look around. The parents could get a better understanding of our school by admiring the many clubs available and the magnet programs that they can sign their child up for. Yearbooks were also sold for $65 on parent night. They can still be bought in room 1022 during school but the price will progressively change, rising to $85. By 6:30pm , parents should have been in their child’s first period to meet their teacher, find out how the class works, what their child should be doing, and what they require. The teachers could have talked about their grading scale, how they like their work done, what they do in class, the materials needed, and anything else they thought was necessary. They then should have gone to the rest of the classes, starting with A day then going to B day, to do the same thing with that rest of the teachers. Parents had seven minutes to get to the next class and then had seven minutes in that class to sign in and get anything they needed from that teacher. Parents could also experience what their child goes through when going from class to class and how it might be a little difficult to make it on time on those rough days. Some kids went to open house to show their parents around, some kids sent their parents with a schedule and a good luck, and others didn’t go at all. “ I don’t think open house is necessary because I can just tell my parents what my teachers need,” Sophomore Jane said. Many students like open house because they prefer for their parents to do all the questioning instead of questioning the teacher themselves. As well as that, most students don’t like having to remember all of the questions their parents have. “ I think open house is necessary because it’s a good way for my parents to talk to my teachers about any concerns they have so I don’t have to,” Freshman Marcus said. Many people have very different opinions about open house but there are some people who think open house should continue to happen. Some students say it can be fun and that they enjoy going to open house to hang out with their parents. “Open house was fun because I got to check out some cool clubs and I got to make my parents run all around and watch them get all tired,” Freshman Amelia said. Even though some kids enjoy it others find it quite boring. They would much rather be sitting at home playing games or out with their friends. “Open house was super boring because all I did was walk around to my classes and listened to stuff I already know but my parents wanted to go,” Junior Justin said. Teachers also like open house because it is an easier way to talk to the parents and express how they work in their class in a more personal way than through email. A parent can also schedule a meeting if they couldn’t make it to parent night and need to discuss their child’s class. “Parent night is a great time for me to communicate face to face with a parent about what their child will be learning in my class, how we do things, and how things work,” world history teacher Mr. Maldonado said. Open house is a night for any parents who would like to come and find out about their child’s school life. 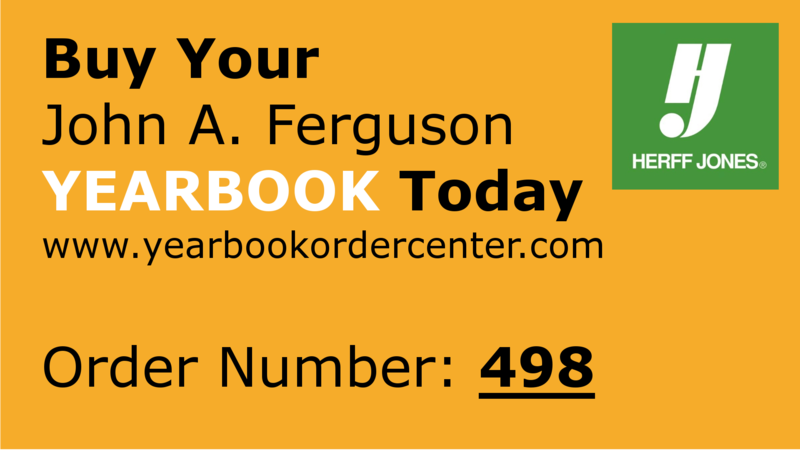 If anyone missed parent night you can go to the Ferguson website to look for the teacher’s name to find their contact information and schedule a meeting.